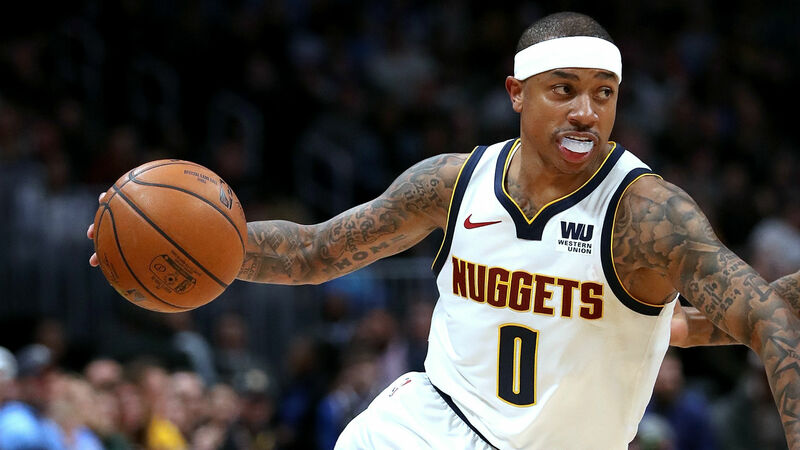 Isaiah Thomas was the only active player that did not see the court in the Nuggets' 133-107 win over the Timberwolves on Tuesday, and that will continue to be the case as Denver nixed the guard from its rotation. Thomas, who had appeared in each of Denver's nine previous games, didn't see minutes even after the team extended their lead in the fourth quarter. Nuggets coach Michael Malone said he plans on keeping the rotation smaller in the final few weeks of the regular season, and that he explained the plan to Thomas before the game. Thomas, who played under Malone in Sacramento, had just started seeing playing time. He made his 2019 debut in Denver on Feb. 13 against Sacramento after a long recovery from a March 2018 hip surgery. However, he has been struggling since that game, making just 36.2 percent of his field goals and shooting just 25 percent (7-for-28) from 3-point range. Thomas is averaging 8.6 points, 1.3 rebounds and 1.7 assists in 15.6 minutes off the bench. “It’s never about Isaiah. It’s never about any individual,” Malone added. “It’s about what I think is best for our team. And I made the decision to shorten the rotation, only played eight guys in the first quarter. Thomas, 30, joined the Nuggets on a one-year, $2 million deal by way of Los Angeles. He spent the 2017-18 season with the Lakers after a short stint with the Cavaliers. He hasn't played a full regular season since he was with the Celtics in 2016-17. The Nuggets are second in the Western Conference behind the leading Warriors. Denver (44-22) is just one game behind Golden State and will face Dallas on Thursday.